Morning beach walk: Pawleys Island, South Carolina | Oh, the Places We See . 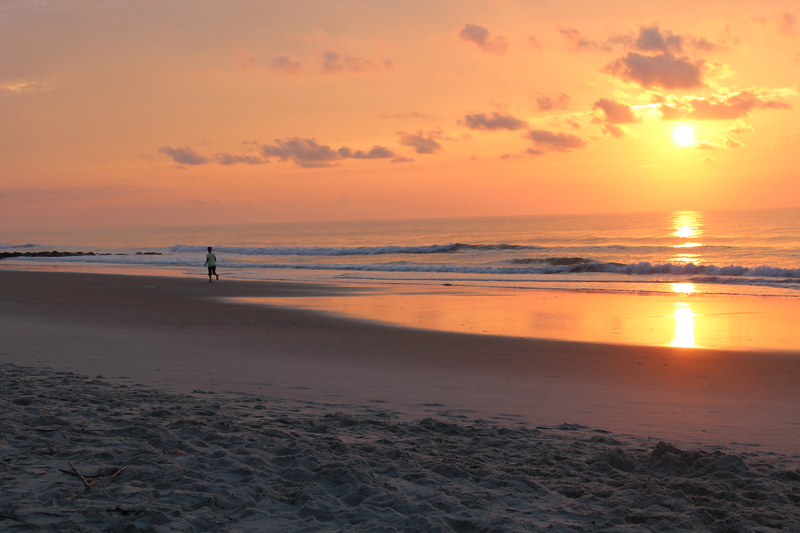 . .
No matter how many years (more than 30 now), we’ve walked the beach at the South End of Pawleys Island, we never tire of the early morning spectacular. Pawleys is our place. Our home away from home. Where for one week, we kick back, walk barefooted along the shore, reflect on the past year, and plan for the next one. According to a sign near the causeway, Pawleys Island is the oldest seaside resort in America. With a few remaining homes built in the late 1700s, this little town about 25 miles south of Myrtle Beach has the feel of an old beachy place with a laid-back attitude. It’s just the way it was and still is, and that’s how we like it. Walking the beach in early morning has become a ritual. And no two mornings are alike. Today, the sun’s peeking through clouds. A few people pick up shells washed ashore in the night. Others sip coffee and watch the day unfold. 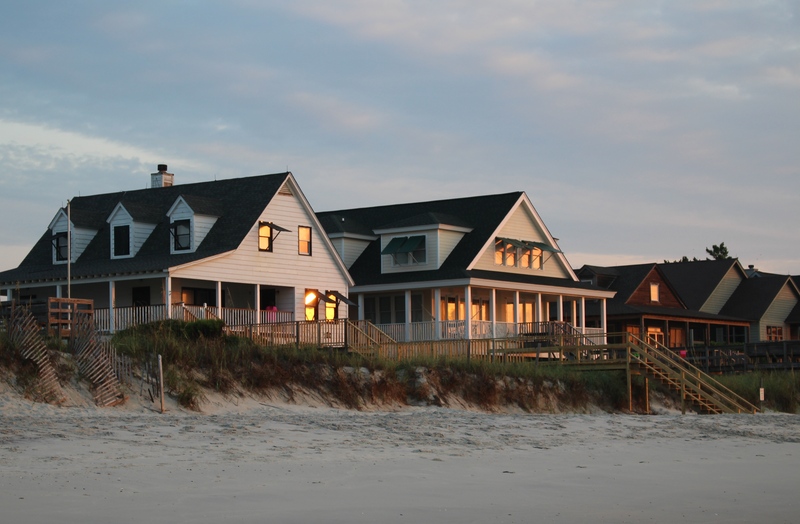 It’s just Pawleys at its best, and we count our blessings each year — the last week in July — that we can still head to our rental house and leave our cares behind. 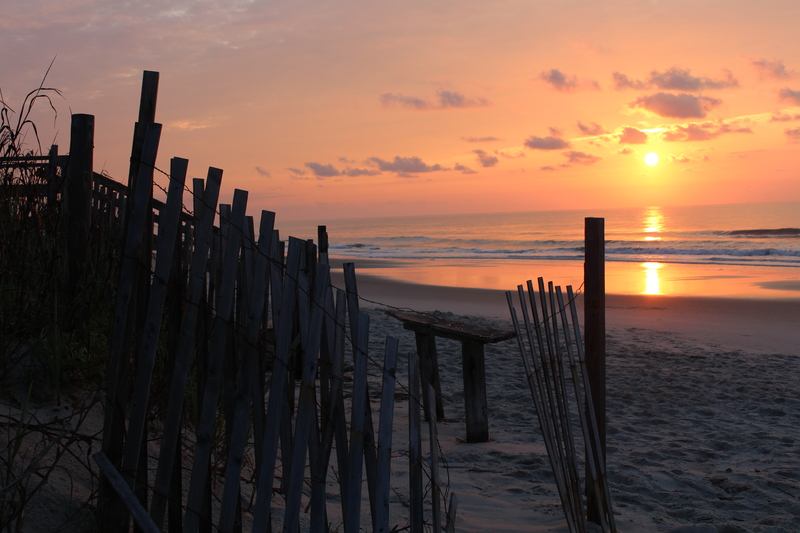 This entry was posted in Destination, Photography, South Carolina, Travel and tagged beach, morning sun, Pawleys Island, South End. Bookmark the permalink. Oh, I just want to be there! Reminds me of Cannon Beach, OR. What a delightful place to wander. And I want to see Cannon Beach, OR!!! The whole state of Oregon is on our Bucket List. We’ll be lucky to see Portland and maybe the coast . . . someday. Thanks for reading/commenting. Means a lot. Wonderful sunrise! Certainly strikes me as the kind of place I’d love to visit! It really is a pretty place, and this year I was determined to see more sunrises than ever. They were all gorgeous . . . even on the foggy day when the sun looked like a snowball! Thanks for visiting! Thank you for showing me this beautiful place. I too love morning beach walks along the Atlantic coast to see the sun rise. Superb captures! Thanks for reading. I love my morning walks — in fact, I think this is the first year that I’ve seen the sun rise each day we were there. Whoa!!! So lovely! That looks just gorgeous, Rusha! It really is gorgeous. This is the first vacation week that I’ve seen each sunrise! So, I have lots of pictures — just not sure what to do with all this beauty!!! 🙂 (Nice problem to have!) Thanks for reading. We haven’t seen any nests this year; however, last year, we saw where several had been moved to higher ground. The process is fascinating as the volunteers painstakingly move each egg careful to reposition it in the bucket with the same orientation the mother left it in. But no nests this year . . . so far! Thanks for commenting. Many homes did survive, Curt, but many were also destroyed. When you come to Pawleys, you see remnants of Hurricane Hugo still standing but you also see newly built, stronger, taller in many cases homes right beside them. We’re just hoping a hurricane of that magnitude doesn’t happen again! Thanks for looking, commenting! I wouldn’t bet on not having another Hugo plus hurricane given our present weather patterns. I wish the homeowners luck. We’ve thought of that many times — another devastating hurricane. I would imagine insurance is sky high, but rightly so. Many of these homes cannot sustain another big gust. Sometimes I’m glad just to be a renter! Being a renter under the circumstances makes lots of sense! Thanks so much! It may be just another lovely sunrise, but to us it’s a real treat since we see it so rarely. We love Pawleys also. And it’s not because there is much to do — it’s the lack of much to do that draws us there. It’s just us, a few other people, the beach, and the ocean! Thanks so much for reading/commenting. We’re working on that enjoyment part. We’ve had mostly sun with an afternoon shower each day. However, that’s when we head inside, eat, and possibly nap — can you imagine that? I think I could get used to this lifestyle!! Gorgeous pics! I’ve never been to Pawley’s but these make me want to book a trip. Have a wonderful week! We hope you do get to see Pawleys some day. It’s one of the unspoiled beaches in America — so laid back that some people might not like it. But we think the do-nothing lifestyle is really what brings us back year after year. Just long strolls, reading a book while the ocean laps over our feet, and looking for an occasional dolphin constitute a great day at the beach!! Thanks for reading. We just got back from our yearly trip. Our family just loves the “do nothing” pace of the world there. Thanks so much for reading and commenting. 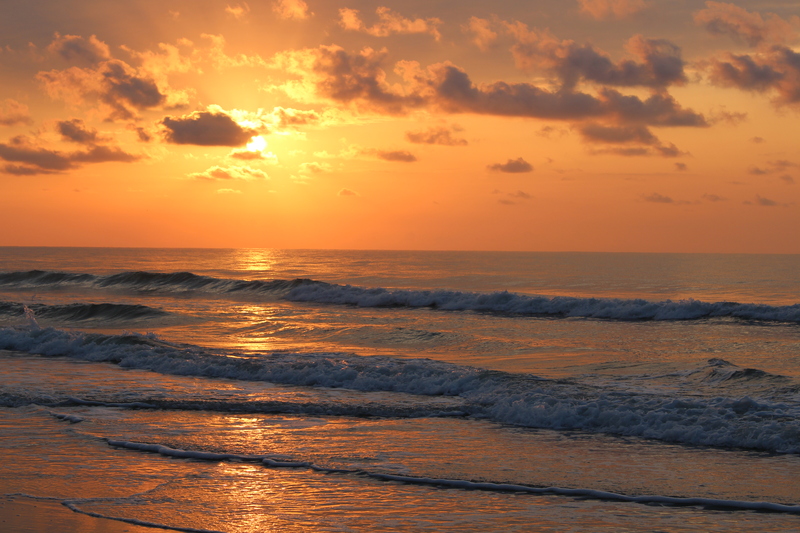 Pawleys is indeed a special place, and so many people from Knoxville enjoy it. Word gets out, I guess, and we know where to find peace and quiet — and natural beauty. How beautiful! The sun rising is a fabulous capture! Thanks! I don’t mind getting up early on my vacation because I’m usually rewarded with a beautiful view! Each morning is different, so it never gets old. Thanks for reading! 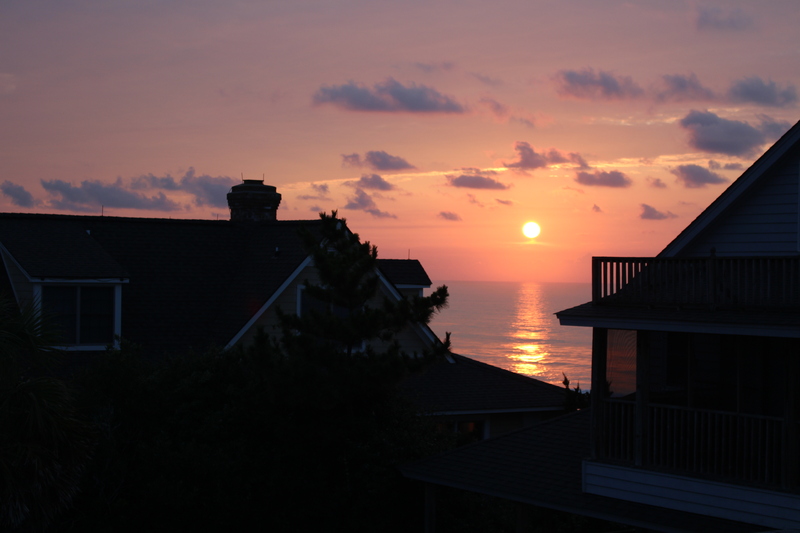 i was at Pawleys in June and saw the most spectacular sunrise I have ever seen ! PS if you are a burger lover the new place in the Hammock Center, Bisqits, is AMAZING !!!! Thanks for the burger place recommendation. We tend to stay at the beach house and cook in simply because we’re too lazy to get cleaned up and wait for a table at a restaurant! Having said that, we also eat out at least a couple of nights anyway, so this just might be the spot this year! It really has been a great week so far. A little rain each day, but mostly beautiful sunrises and sunsets. Can’t get upset with natural days like that, right? Love the coast at sunrise. Your pictures are great; your adventures are greater. I always enjoy your observations and your masterful use of language. Continue to enjoy. Be safe and happy. Thanks, Shirley. We love this place, and even though we just rent for a week (and we’re borrowers of sorts), we feel as if it is ours! Appreciate the comment! I have never been here…have read so many books with this town as the backdrop…its on my bucket list. You captured the beauty perfectly. Thanks so much. It’s easy to take pictures here — everything seems so unspoiled. I’ve got more from other perspectives, so stay tuned! And, as always, thanks for reading/looking/commenting.